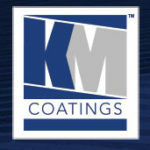 KM SHIELDCOAT® PLUS ROOF SYSTEM is a liquid applied system intended for new and existing roofs. This premium, pure acrylic, elastomeric system is applied in multiple layers providing a water resistant, fully-adhered seamless roof membrane. Multiple long-term warranty options are available. Why Choose The Shieldcoat® Plus Roof System? What are the roof system components? The system featuring KM Acryl 15 top coat is available in standard and semi-standard colors. Apply using a brush, roller or airless sprayer. 10, 15, and 20-year warranties are available when installed by a KM registered contractor.